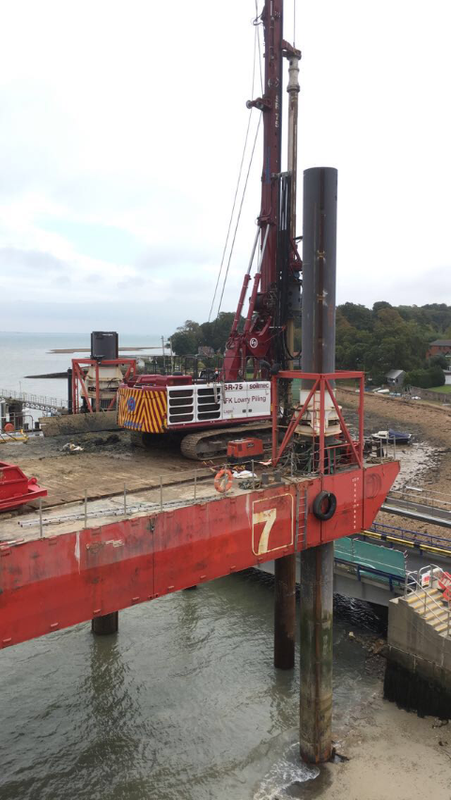 FK Lowry Piling have recently completed Marine Piling for the upgrade of the Wightlink Ferry Terminal at Fishbourne on the Isle of Wight. The project is part of a £45million investment to improve the existing Portsmouth to Isle of Wight route. As well as the purchase of a brand new Ship for the route, the investment also includes new boarding ramps at both Portsmouth, Gunwharf and Fishbourne to permit double deck loading and a new terminal building at Portsmouth. 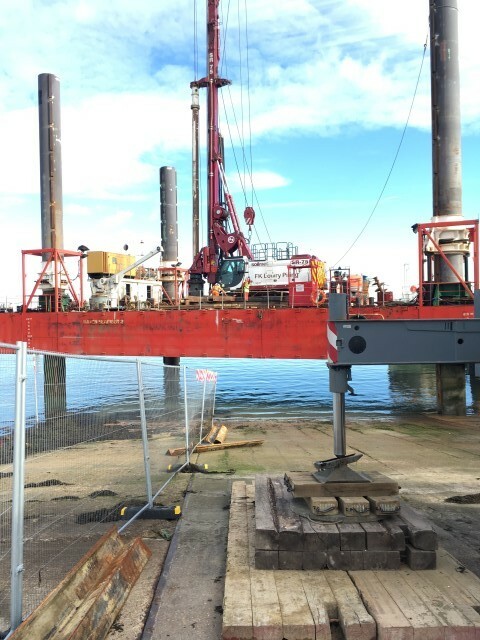 FK Lowry Piling were sub-contracted to Trant Engineering to install 7 No. 1,000mm Dia. permanently cased rotary bored piles to depths of up to 20m. 4 No. 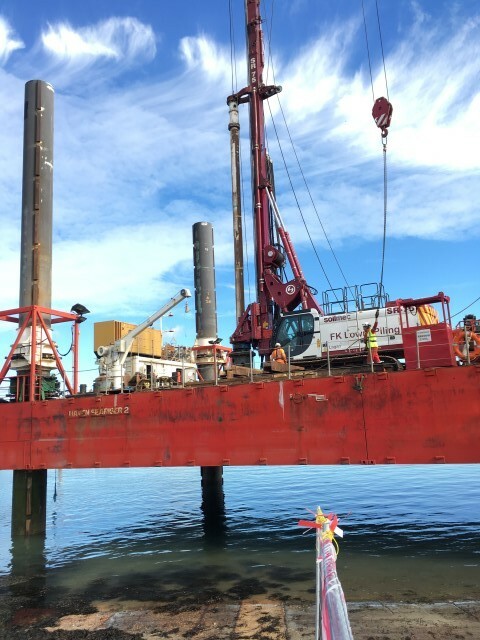 Piles were constructed from a 4-leg “Jack-Up” Barge using the 75t Soilmec SR-75 Rotary Bored Piling Rig. Subsoils beneath the Seabed consisted of soft Silts overlying Made Ground & Fill Material to 4m. This was further underlain by firm Clays and stiff Clays at depth. 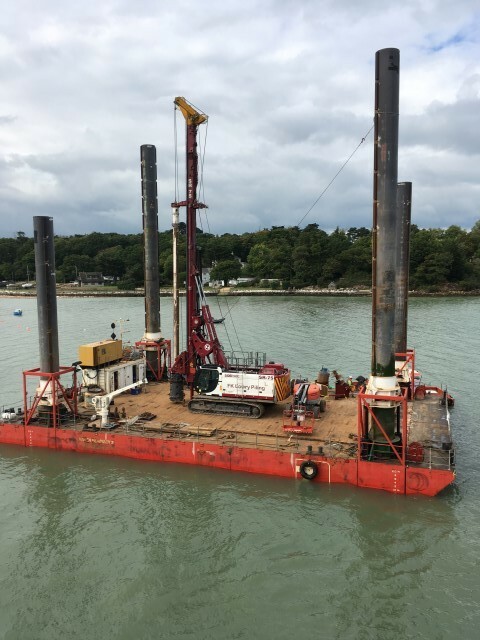 The Fishbourne Schemes follows on the back of other Marine Project successfully completed by FK Lowry Piling including the Rosie Hackett Bridge, Dublin and Dingle Harbour Development.